We’ve had a busy Monday, starting the week, hopefully, on the right foot, working on mathematics, reading, spelling, history, writing, music and Bible … now it’s time for a rest …and a cup of lovely tea. I know I promised a homeschooling post, but it is quite a detailed write-up and may take me a bit of time to lay out the details. 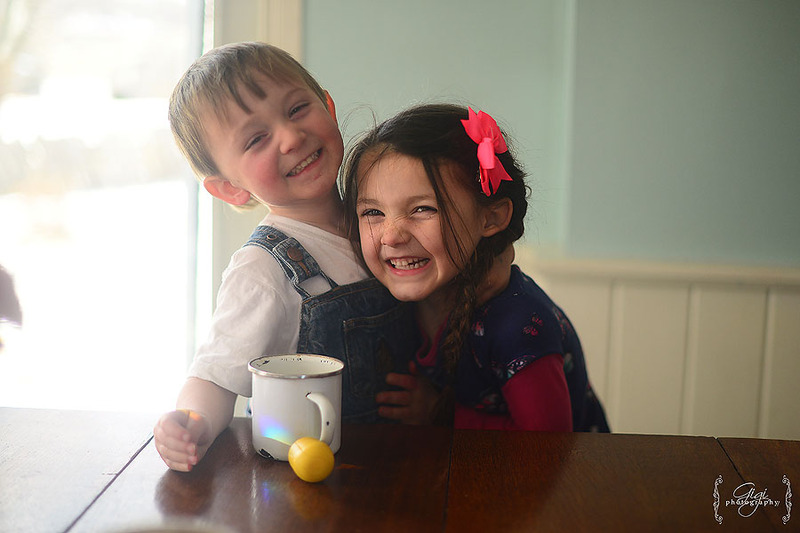 Homeschooling is so personal – and what works for one family may not work for another. I would never want to discourage you from your current homeschool practices, and yet, if there is something that would help or inspire you, I am glad and thankful to offer that. I had many a good seasoned-homeschooling friends when I started out on my homeschooling journey and for that, I am very grateful. 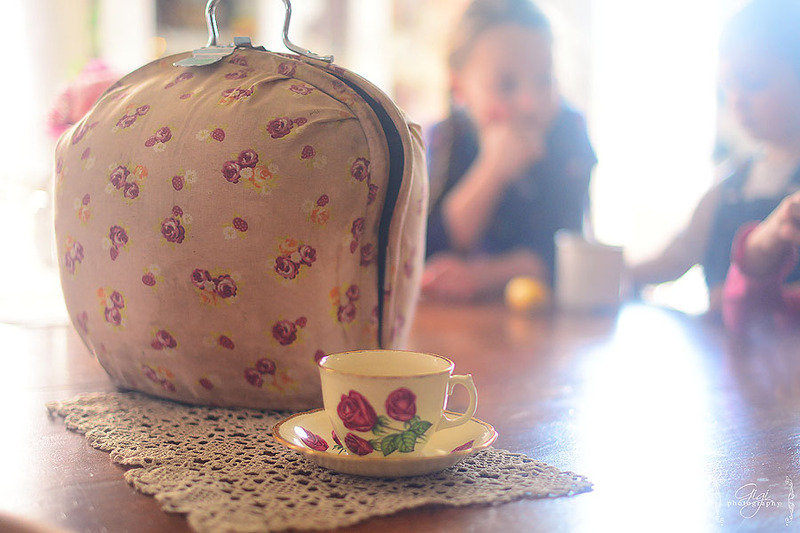 I wanted to share with you my favorite type of tea cozy – it was given to me by a dear friend many years ago and has seen a lot of picnics, walks in the field and outings in our big family truck. It is the best tea cozy to keep things steaming hot. 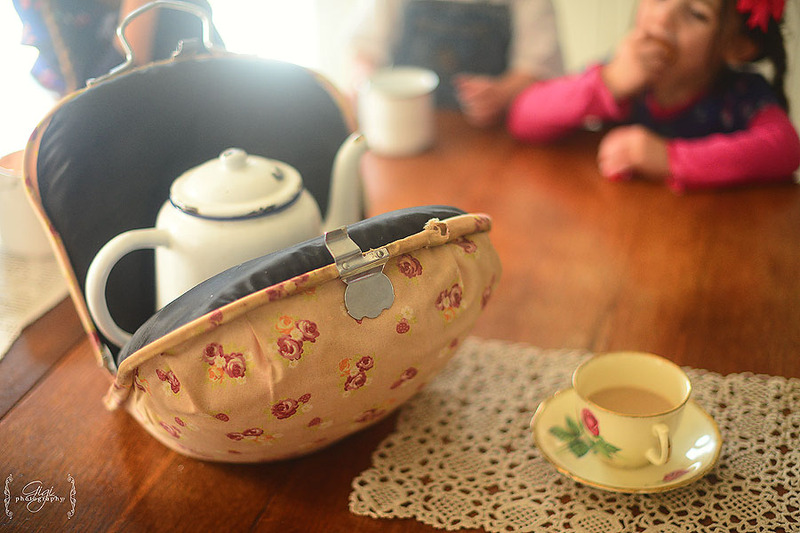 I believe it is called a Dutch tea cozy and if you can find one, buy it! It is a gem! I have never seen them in a store, but I have fond memories of my Dutch schoolhouses teaching, bringing her Brown Betty teapot, filled with piping hot dark tea, in her padded Dutch tea cozy, to our one room schoolhouse each morning. I have been studying meekness for the past little while and it has been extremely challenging, wonderful and insightful. I hope to do a post on this soon, as well. 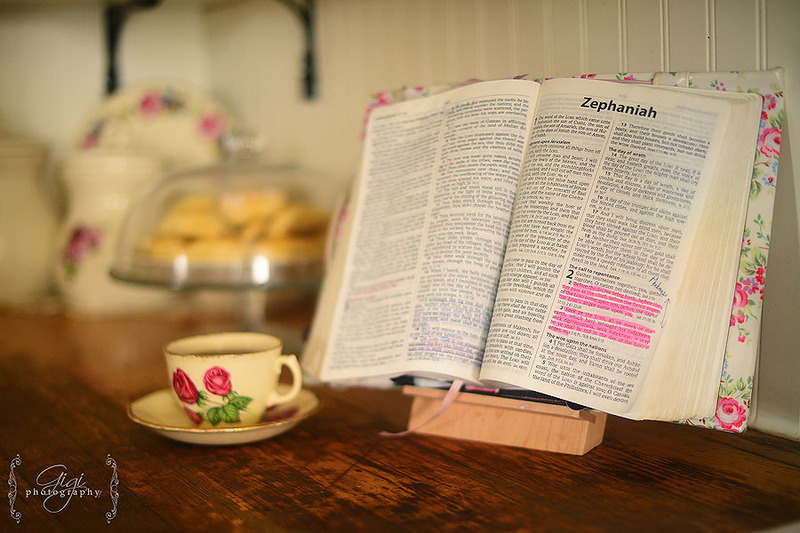 My dad made this stand – it is the perfect Bible holder for the kitchen counter. 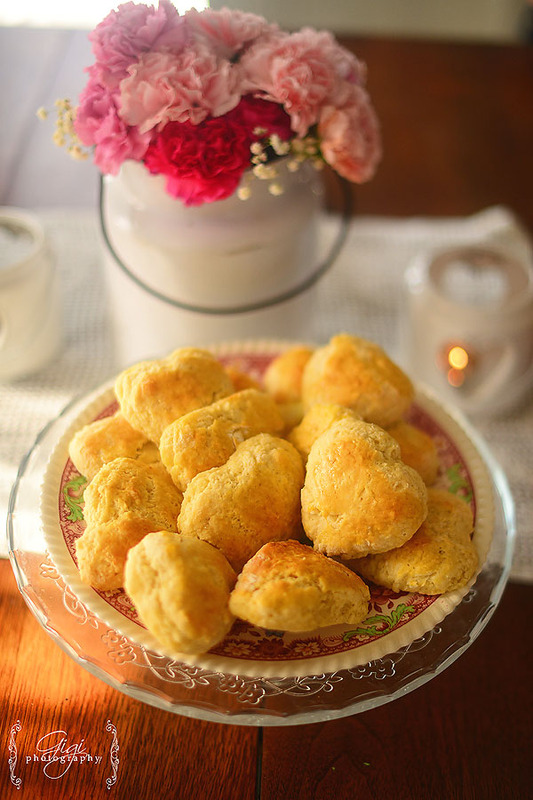 Now, shall I share the recipe for the lovely (heart shaped) scones? I found it in the Teatime magazine, which I have been enjoying reading over the winter months. Preheat oven to 450 (or if you have a wood cookstove like me, just prepare a nice roaring fire). In a large bowl, whisk together flour, baking poder and salt. Using your fingers, rub in the soft butter as lightly as possible until the mixture resembles bread crumbs. Stir in the sugar. Add one egg and bind the mixture with a fork. Gradually add a few tablespoons of milk to form a fairly stiff dough. Turn dough out onto a floured counter, gently kneading by patting dough and folding it in half 3 or 4 times. Roll out dough to a 1″ thickness. Using a small round cutter, dipped in flour, cut out as many scones as possible from the dough. Press cutter straight down and try not to twist it. Place scones, almost touching, on a baking tray lined with parchment paper. In a small bowl, whisk together remaining egg with 1 tablespoon of milk. Brush mixture overtop of the scones. Bake until lightly golden colour. Enjoy with jam or a dusting of icing sugar as a special tea time treat. Gigi – Yes, and I wish I could locate the teapot so I could, even in the least, see what it looks like. Have you ever seen one online? gramma Cardinal – Nice to see you using the old Country Rose cup and saucer for your tea! Our Home of Many Blessings – You dont have to do just one homeschooling post!Do lots of them!!! 🙂 I would love to know what your routine looks like on a day by day also. I have never seen a tea cozy before…its so wonderful.I love teapots and teacups and have a collection of them throughout the years.The older looking they are…the better.I would love to find a lovely glass cabinet to store them in.How do you store all of yours?I have also never heard of teatime magazine.What is it and is it available here in the states I wonder?Thanks so much for the scone recipe!! Monica – I never would’ve pictures the tea cozy looking like that! It’s so pretty and unique! So glad you had a good day. Smooth and nice Monday’s are super special. After reading your post (a little while back) on the nutritional benefits of drinking rosehips tea, I purchased a small pouch of them and a tea ball, and made myself a cup. Since then I have been enjoying drinking it regularly. Gigi – Oh, I’m always hunting for teapots, too! They are not as easy to find as I would wish. I hope you find one soon for your tea! I use different teas, some I mix myself (so they are loose leaf) and others store bought … I drink mostly herbal teas but will drink Typhoo around 10 a.m. in the morning. 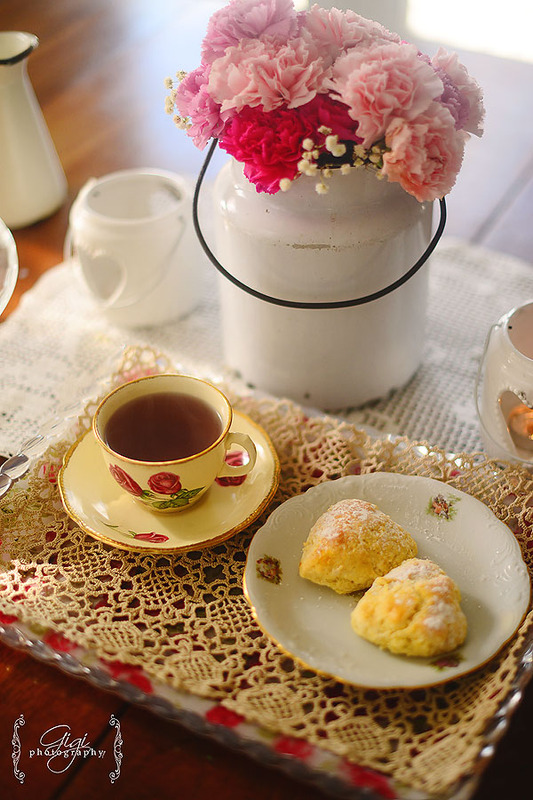 It is a British tea and very lovely. 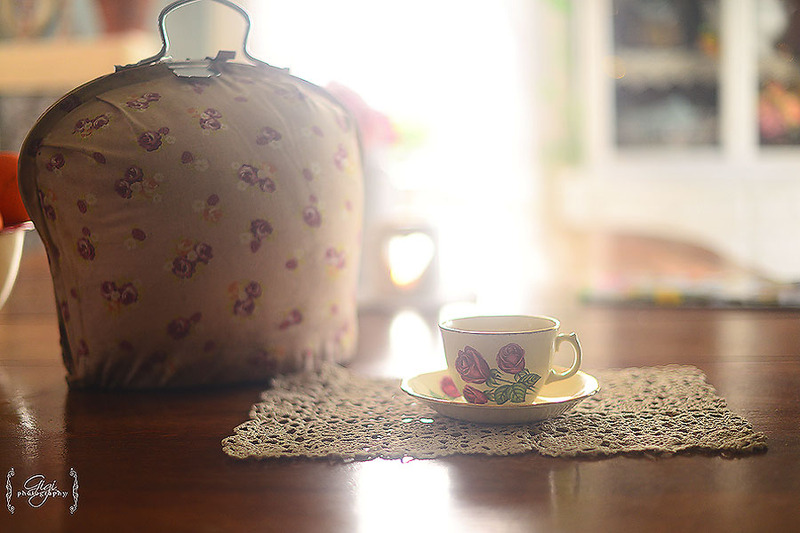 Crystal – What a lovely little tea cozy! I have still been on the lookout for a teapot but have yet to find one. I am looking forward to your homeschooling post. I have been wondering what kind of tea you use and where you buy it, do you use bags or loose tea? I’ve been debating on loose tea verses the bags I’ve been using. Do you prefer a certain brand?